Museum of Public Art's mural created by Tats Cru. Photo courtesy Museum of Public Art. It catches your eye. It turns your head. It makes you think. A whirlwind of questions comes to mind when you see the work of a street artist on an otherwise basic building. What does it mean? Who painted it, and why? The world of street art is filled with culture, talent, beauty and hope. It goes beyond having an idea and throwing it on a wall. 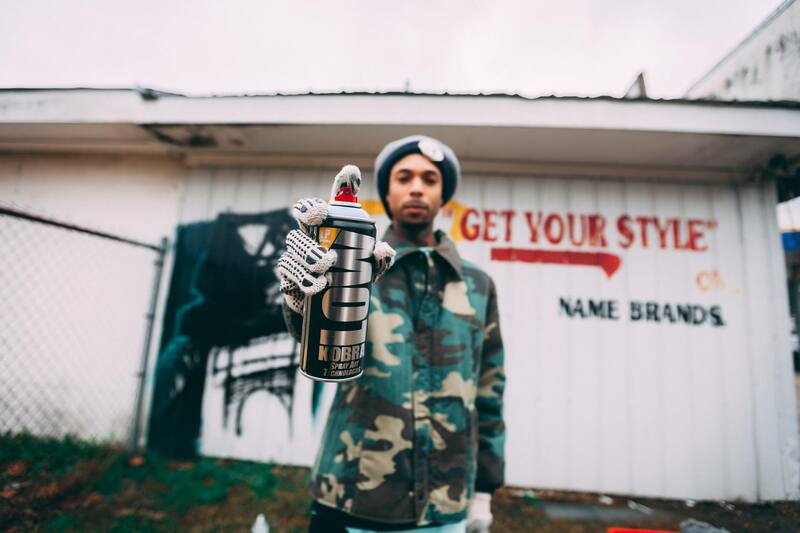 There is a heavy presence of street art here in Baton Rouge, so we talked to a couple of local experts about why it’s so important to support the movement. In 2012, the Walls Project was started by a group of local business leaders, including Casey Phillips, director of the project, who wanted to transform downtown Baton Rouge into something that changed lives. The art on the walls celebrates culture and has brought the people around them together as a community. Artist Skinny Dope. Photo by Adam Vo. 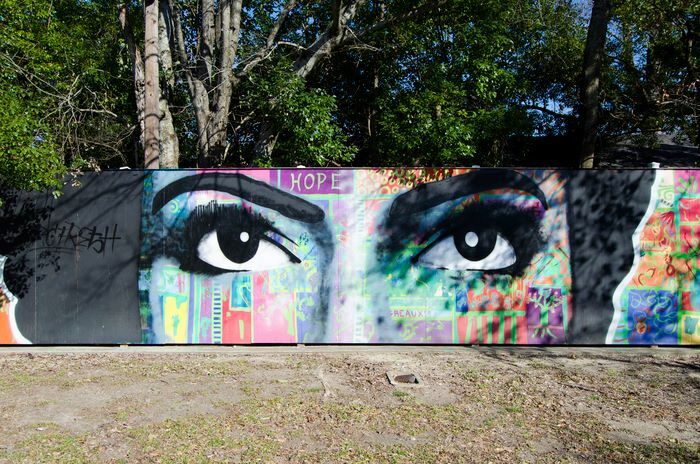 Kevin Harris, director of the Museum of Public Art, started the street art support movement in Old South Baton Rouge in an effort to help others see the heart and soul that exists within the community. “Communities can use art to survive,” says Harris. According to Harris, by opening their doors to street artists, communities have the chance to embrace and revitalize their history and have areas become designated as arts districts. Harris knew the possibilities street art had for the Old South community, so he put his ideas into motion by inviting artists from all over the world who had an affinity for cultural expression as well as the ability to adapt the art to the environment in which it exists. By using public art as an agent, Harris was able to give rise to social engagement, which led to a positive change in the way the community saw itself. Along with creating a sense of culture and community, the local street art movement gained enough respect to create a safer environment in the locations in which it has existed. In the years that have followed the creation of some of the murals, crime seems to have declined in the areas surrounding them. At the intersection of Terrace and St. Joseph streets, Harris orchestrated the painting of four buildings to depict the journey of African Americans in Louisiana. As these buildings on Terrace gained more attention, a drug dealer across the street moved from the house he was occupying and, in doing so, allowed the neighborhood to receive a new reputation. “Murals are a natural repellent to negative energy,” adds Harris. "On the Shoulders of Giants." Photo courtesy The Walls Project. Of the many works created by the Walls Project, a couple to check out are “Embracing Estuary” and “On the Shoulders of Giants.” “Embracing Estuary” is a mixed-media installation as part of the NICU rooftop garden at Woman’s Hospital. “It’s something different than a mural–it’s healing art,” says Williams. 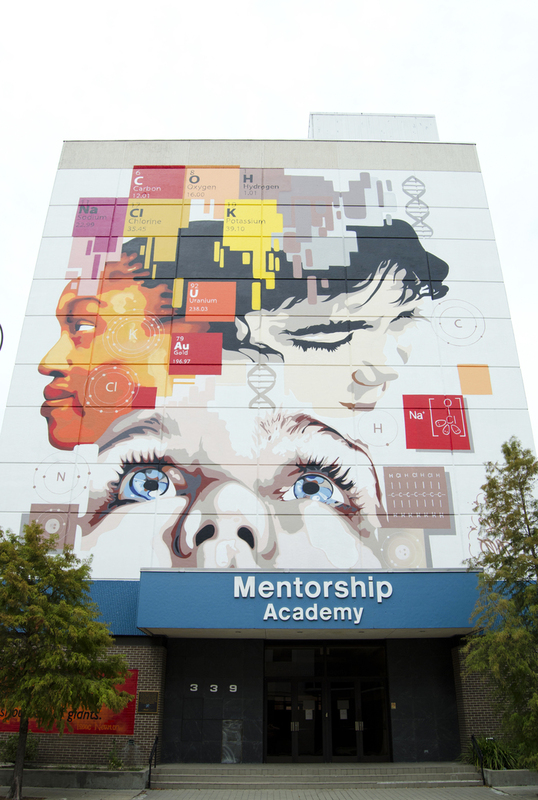 On a building near the intersection of Florida Boulevard at Fourth Street, “On the Shoulders of Giants” can be found on the facade of Mentorship Academy and represents the values of education. As for MOPA, the second mural ever commissioned by Harris was created by Tats Cru from New York City. Tats Cru are legends in aerosol art, and they gave Baton Rouge a mural that featured state and local symbols that resonate with everyone. The mural is located on the corner of Myrtle Street and Eddie Robinson Sr. Drive surrounded by a number of murals that are a part of MOPA. One of Harris’ favorites is across the street on the side of the Lincoln Theatre. The theater was being tagged by vandals in a negative way, but now it exhibits the three things the venue has always valued: history, music and art. And as more and more colorful murals pop up around town, the community has the opportunity to not only see parts of town in a new light, but also the people that make up the Baton Rouge community. Through these moments of shared artistic expression, people can connect and cherish a shared culture and a shared love for the city. To view more of The Walls Project’s murals, visit this map to find their exact locations.